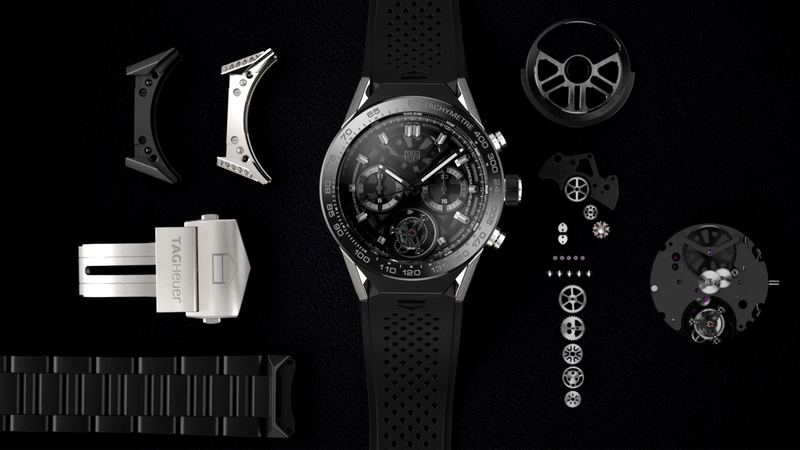 The TAG Heuer Connected Modular 45 provides unique customization capabilities to enable more than 500 style choices. 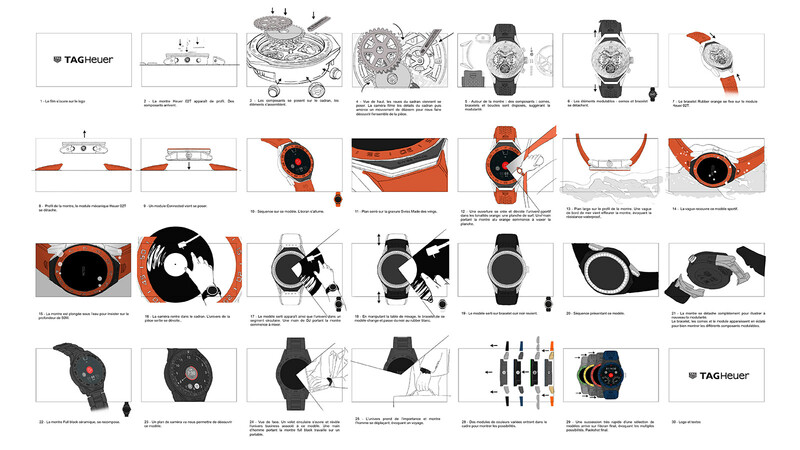 One can select from 56 different versions of the watch. 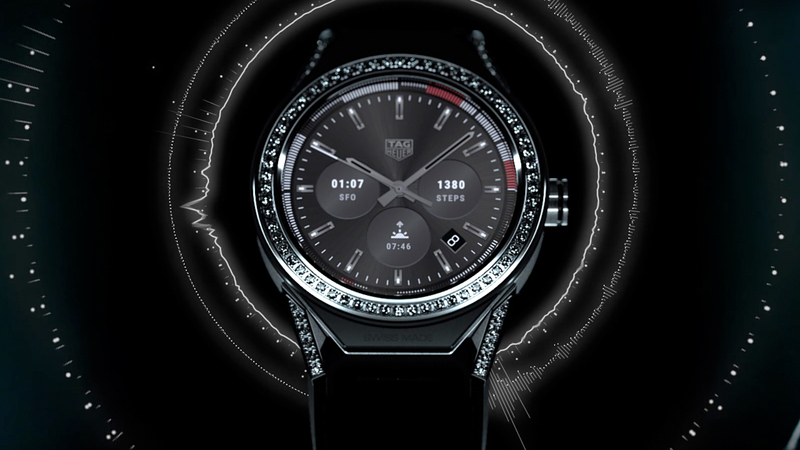 Users can personalize the watch with a variety of modules, horns, bracelets and buckles, along with 30 watch dial options. 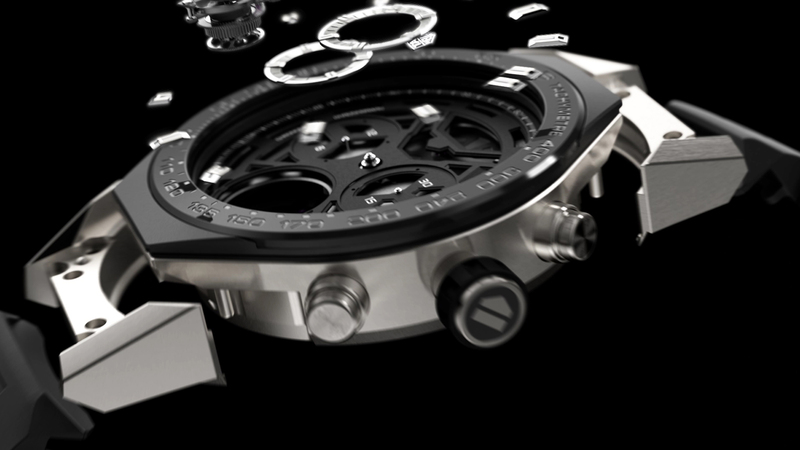 Furthermore, the module can be changed out for a mechanical watch or the prestigious Heuer 02T Tourbillon Chronograph. 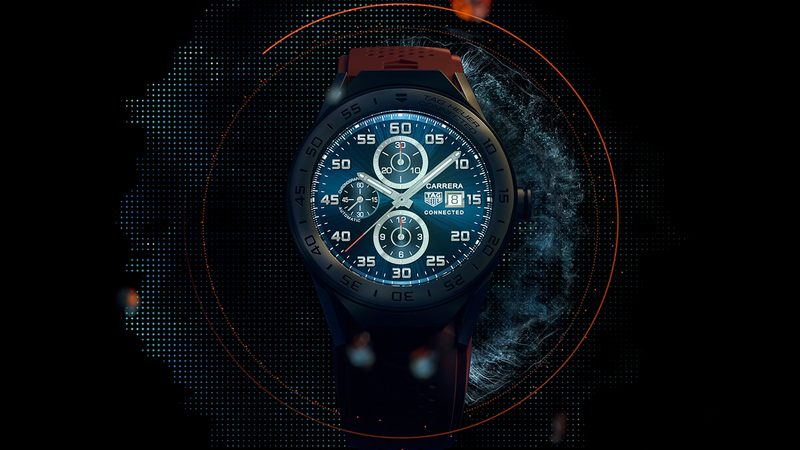 The movie was created to present this watch features for its launch at the BaselWorld fair in march 2017. 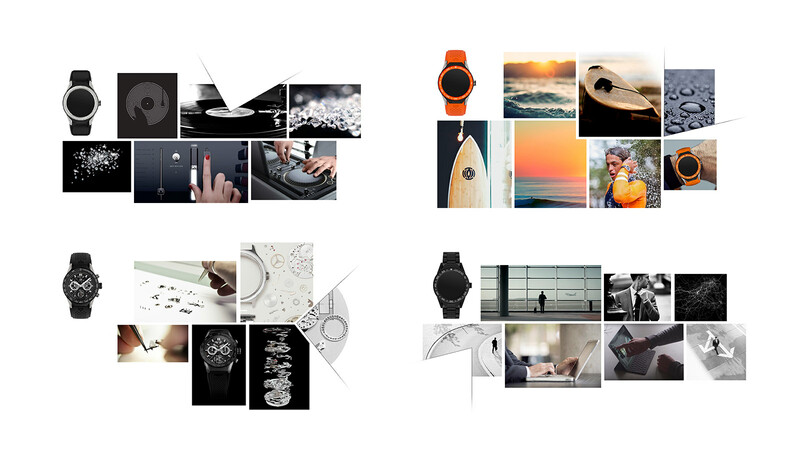 We chose to focus on 4 models that illustrate possible variations, with different styles and strong universes. 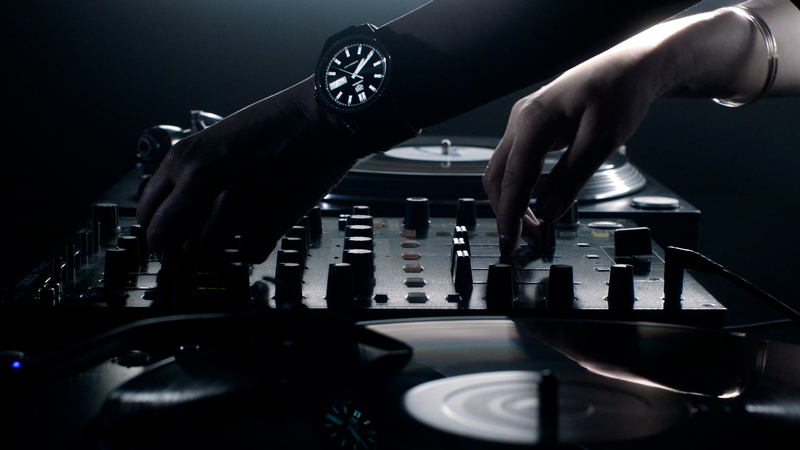 To highlight the “Swiss Made”, we chose the Heuer 02T module as the starting point of the film. 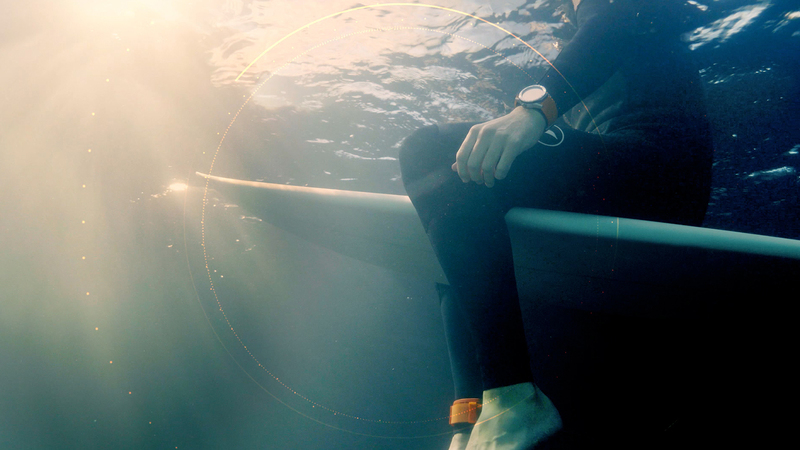 We proposed to use a split-screen principle to relate the different universes in a rhythmic and dynamic way. 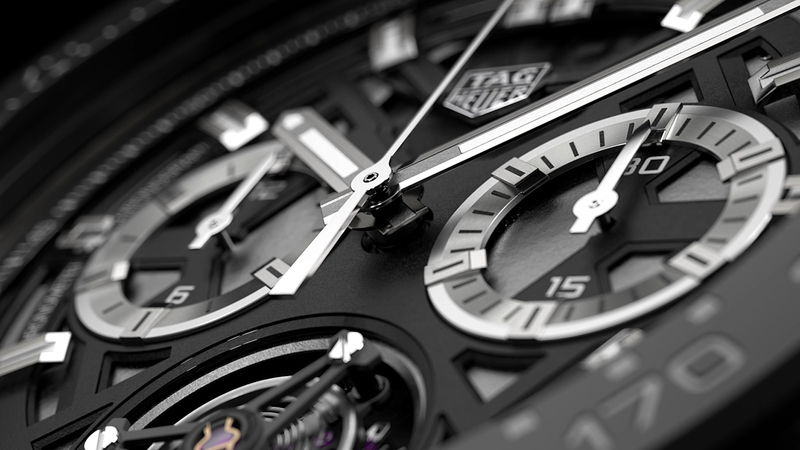 The multiplication of universes allows us to insist on the modularity of the piece and to remain coherent and centered on this unique product: TAG Heuer Connected Modular 45. 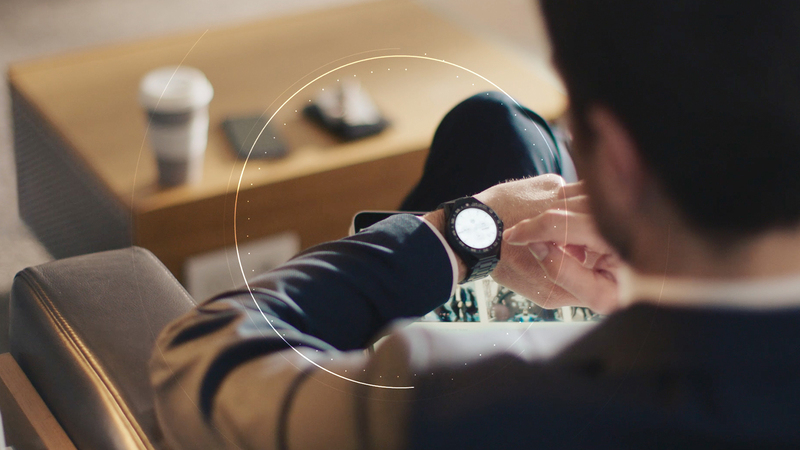 We also created images, and sprites for the website, in order to help the brand to enrich the content of the pages dedicated to the watch. 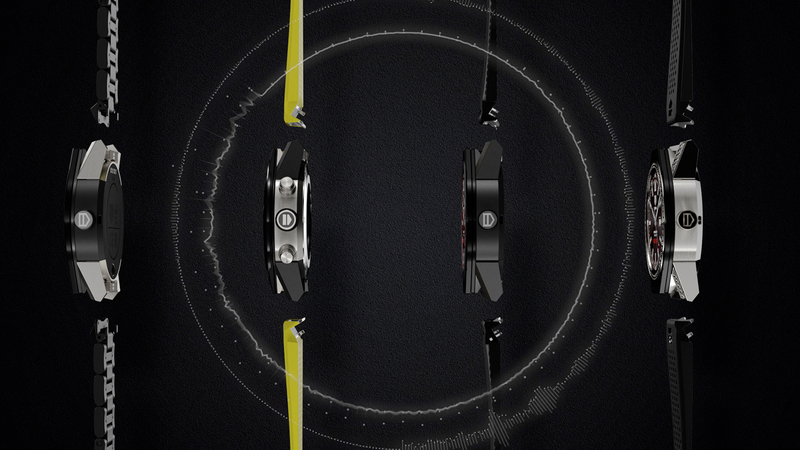 All available watch combinations were also rendered for the watch selector section.